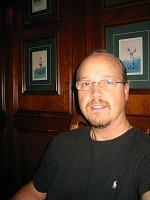 Robert Greene is Software Technologist, Product Manager for Oracle NoSQL, Evangelist at Oracle. Previously, Robert Greene was responsible for defining Versant’s overall object database strategy and direction with over 15 years experience delivering OO solutions. Robert provides guidance and technical expertise to key customers regarding Versant’s product lines including product architecture, implementation, features, and future capabilities. Through his work at Versant, Robert has helped many large companies implement complex distributed systems in the bio-informatics, telecommunications, defense, finance, and transportation industries. Robert is an industry thought leader with extensive experience in object-oriented systems design writing and presenting regularly at Java conferences and seminars on the topic of object persistence and J2EE application architectures. Robert is an author on the topic of object relational mapping and is the project lead for the Eclipse EJB tooling initiative known as JSR220 ORM.